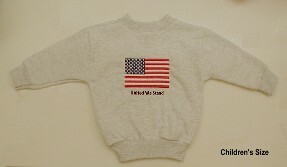 Sweatshirt (50/50) - 7.75 to 9.5 oz., 50% cotton-50% polyester blend preshrunk fleece sweatshirts. 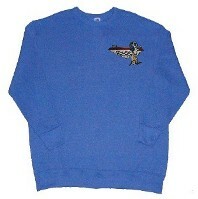 Double-needle with spandex on neck, cuffs, and waistband. 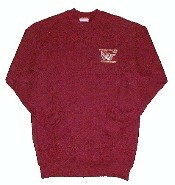 Sweatshirt (High Cotton) - 9 to 9.7 oz., high cotton-blend sweatshirts. 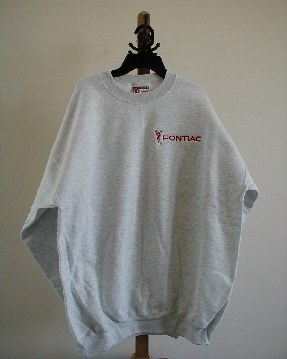 Spandex-reinforced neck, cuffs, and waistband.